Charles Alexander Eastman (born Hakadah and later named Oh ye S'a; February 19, 1858 - January 8, 1939) was a Santee Dakota physician educated at Boston University, writer, national lecturer, and reformer. In the early 20th century, he was "one of the most prolific authors and speakers on Sioux ethnohistory and American Indian affairs." 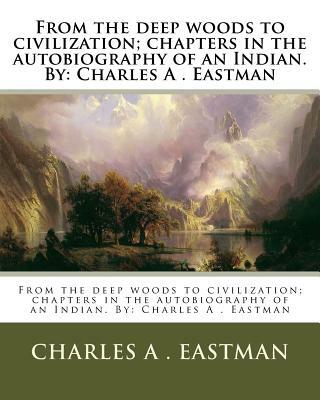 1] Eastman was of Santee Dakota, English and French ancestry. After working as a physician on reservations in South Dakota, he became increasingly active in politics and issues on Native American rights, he worked to improve the lives of youths, and founded thirty-two Native American chapters of the Young Men's Christian Association (YMCA). He also helped found the Boy Scouts of America. He is considered the first Native American author to write American history from the Native American point of view.